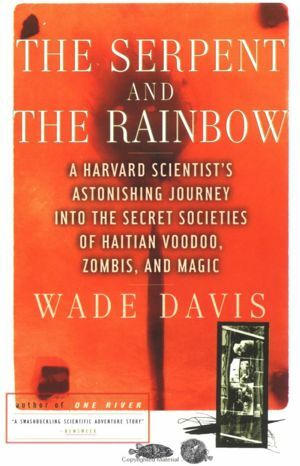 So my research has been stemmed from the very influential Wade Davis, author of Passage of Darkness (1988) and The Serpent and the Rainbow (1986) and an article titled: The ethnobiology of the Haitian Zombie. 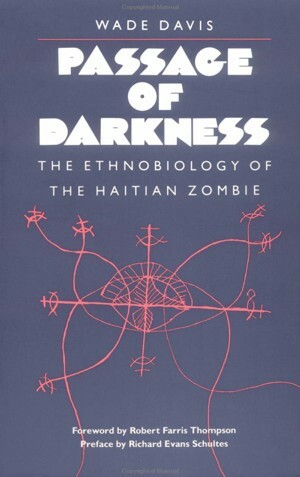 In 1983, Davis first advanced his hypothesis that there is an ethnopharmacological basis for the existence of zombies and tetrodotoxin (TTX) poisoning was the main ingredient in the mixture sorcerers use to zombify someone…Influenced by Dr lamarque douyon- (who uncovered clairvius narcisse,the first medically verifiable zombie)Davis has spearheaded the zombie investigation, causing much debate and inspiring many intrigued followers. Ingredients: datura stramonium, velvet bean, king toad, puffer fish, hispaniolan boa, bearded fireworm, taranchula, cashew leaves, and the bones of a human child…all ingredients play an equally important role in the production of the substance….when ingested the victim slips into a stupefied state, without speech and will power and is unable to formulate thought, but can move and act.